I have been on Y&YW since we got engaged in Mexico in November 2017 and have really enjoyed reading everyone's planning threads and forums. Now I have started to pay deposits I think that it is finally time for me to start writing my own planning thread! Me and my H2B actually went to the same primary school and secondary school together, we were two school years apart, but didn't formally meet until he had left school and was 18, and I was in my final year of sixth form and was 16. H2B says that he remembers me in secondary school, but I can not for the life remember him (sorry babe!). We met when I started to work in the local Co-op in the village we both lived near in July 2009, he was actually my supervisor! We actually both had BF's and GF's at this point, so nothing romantic happened for a while. We actually used to argue quite a bit when I first started working in the Co-op (I was a bit of a rebellious worker at this point and often didn't do what he told me too), fast forward to February 2010 and we had our first date (sitting in one of our bedrooms watching a film), after this he asked me to 'go out with him' and we have been together ever since! I left the Co-op in September 2010 when I left to go to the University of Reading to study law. The three years apart were really hard, but it was only an hour drive from home and I was lucky enough to have my car, so we saw each other nearly every weekend. Funnily enough I am now a Tax Advisor so do not really use much of my legal learning's in my day to day life! H2B left the Co-op in 2011 to pursue a career in Accountancy, so we are still in pretty similar work fields. We bought our first home in March 2016, got engaged on the 28th November 2017, and will be getting married on the 20th June 2020! From the point we bought our first home together in March 2016, I was hoping the proposal would come, as by this point we had been together for 6 years. My best friend at this point had also been with her partner for 6 years and had been living with him for two. 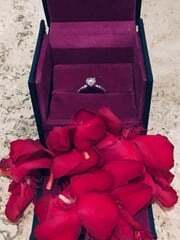 Every time each of us would be going away on a romantic holiday we would get each other excited that a proposal may be coming! A year down the line in March 2017 neither of us were engaged, in May 2017 she was off to Venice with her partner and me and H2B were off to Rome, we had actually booked our breaks on the same weekend not realising until just before we were both off on holiday. For some reason before these holidays we didn't even discuss the possibility that one of us could be getting engaged - on the Saturday whilst we were both away I got a Facetime from my friend telling me that her and her partner had just got engaged on a Gondola in Venice. Her ring was so beautiful and I ended up crying for about 2 hours as I was just so happy for her! 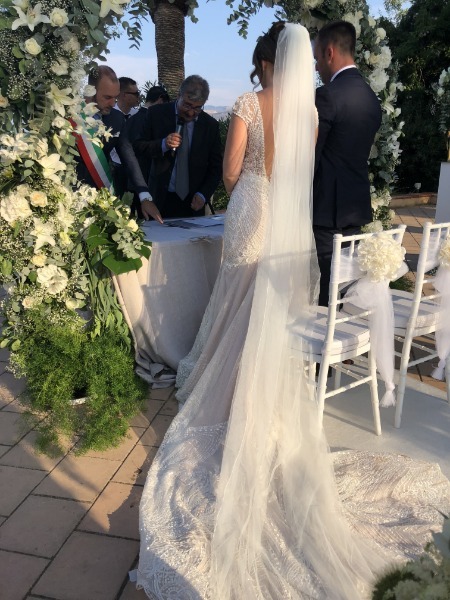 After this people (including my best friends now husband) started joking with my H2B that it was now his turn to propose in Rome... well it didn't happen and to be honest, I was so happy that my best friend had got engaged that I wasn't actually too bothered. In October 2017 I was taking my final CTA (Chartered Tax Advisor Exams), that were super hard, and my H2B suggested we go away in November to celebrate that these were coming to an end. We ended up booking a trip to Mexico. Not once at this point did I think that he may be considering proposing and I didn't even discuss this with my friends before my trip like we had been doing for the last few years. Before our trip my H2B purchased a 'man bag', I was not impressed with this, however little did I know that he had bought this to keep the ring in. He told me it was for his newly purchased headphones and speakers, so I thought no more of it. He kept hold of this bloody bag at all times and even took it too the loo with him on the plane, I still didn't even twig anything was happening at this point. Once we arrived in Mexico H2B told me he had booked a meal on the beach for the second evening we were there, I was fine with this as he had told me he was desperate to try the Lobster that was on the menu and had paid for it himself. I think I was just enjoying being in the sun and reading my book at this point that I didn't even think about why he had booked the meal. On the evening we had the meal booked, H2B had a nice 2 hour nap before dinner, and therefore was not stressed one bit, before dinner he had hidden the ring in a headphone pouch in his pocket as the ring box was too big and it would have been obvious too me what he had in his pocket. We were taken to our dinner location on a golf cart and it was beautiful, a little suspended hut on the beach all lit up with candles. We were bought our starter and ate this, at this point H2B did not seem stressed at all and it just seemed like another lovely dinner. However after the waiter had cleared our starters he said that he had a question to ask me, and at this point made me stand up. 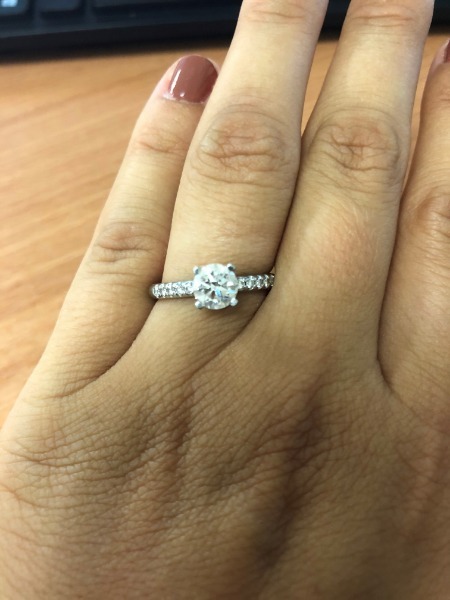 He then asked me to marry him, I was so shocked, I didn't believe that after 7 years of waiting this was finally happening! After I got over my initial shock, I said yes! At this point the waiter walked up the stairs with our mains, which I could not eat one bite of (steak and lobster so annoyed that I couldn't eat this thinking back! ), and bought up some champagne. My H2B managed to eat his whole meal and mine... no stress at all for him! 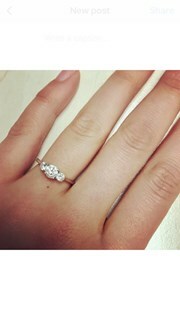 We then realised after the main that I actually hadn't seen my ring! H2B actually purchased the ring only 3 weeks before we went away. Luckily he took my amazing Mum with him, who had my ring sizes from a previous Christmas Pandora gift. I was so happy that he took her as she we are really close and I think she absolutely loved that she was involved in helping choose my ring. MrsCToBee - Thank you so much for taking the time to read already! I love your planning thread. The venue post is up next! 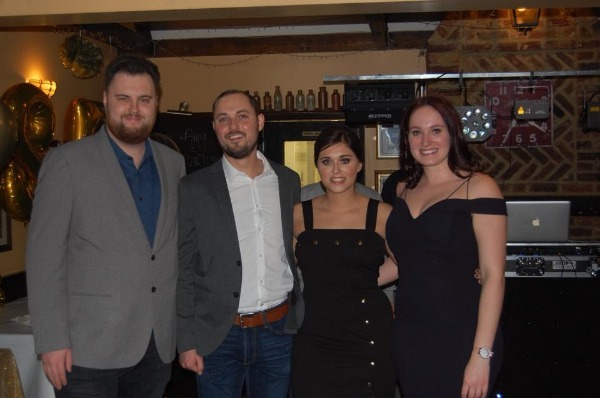 Me, H2B, Mum, sister in law to be and my engaged best friend (who at this point had decided she was getting married in Sicily in August 2018) went off to That Amazing Place's open day. 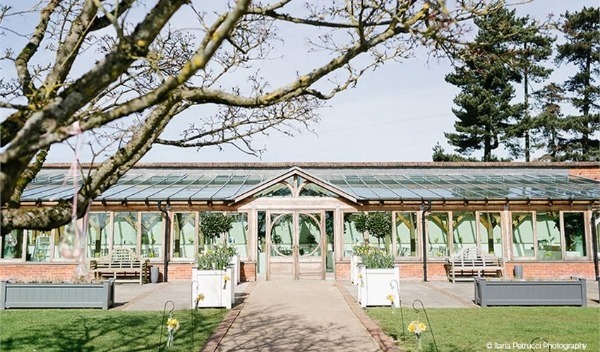 You will be able to see how beautiful the wedding venue is from MrsMann's wedding report. I loved the venue, as did my sister in law to be and best friend, but for some reason H2B was not feeling it, so we left a bit deflated. Thanks! My OH is from South Essex but we have been to weddings all over and right up into Suffolk/Cambs. Oooh another Essex thread. I actually live in Old Harlow, just a few minutes from That Amazing Place. And my sister went to Reading and lives there! 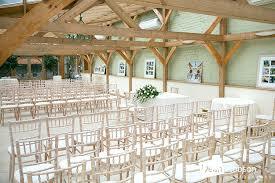 The next venue we went to see was Gaynes Park in Epping. 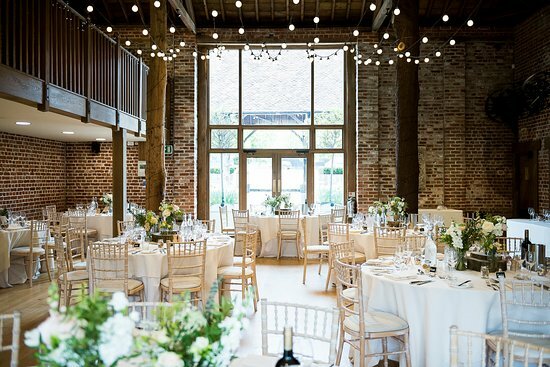 This venue was absolutely stunning and we both loved it, as soon as we walked into the place we both felt as if we had found the place for us to get married! 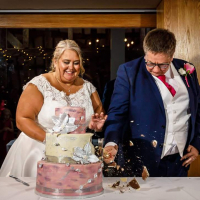 However once we were given a price list and came away from the venue and cracked out the excel documents, we realised that we would be facing a cost of around £45,000 for our wedding. 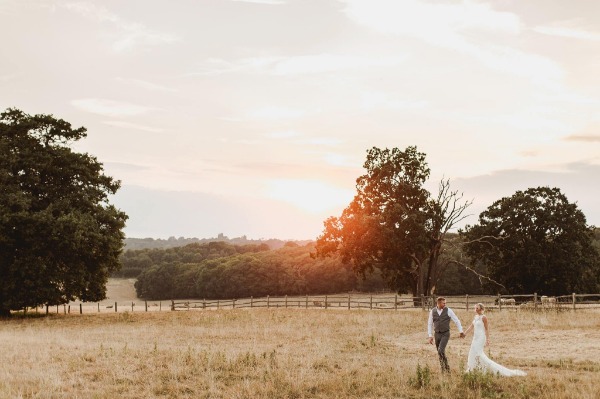 The only way we could reduce the cost would be to have a weekday wedding, however this would have still meant that the whole wedding would have cost around £40,000... more than we paid for the deposit on our first home! So we reluctantly had to scrap the idea of Gaynes Park as the cost was just not feasible. However any bride that has a budget in the region mentioned above, I would really rate this venue, it is just stunning. 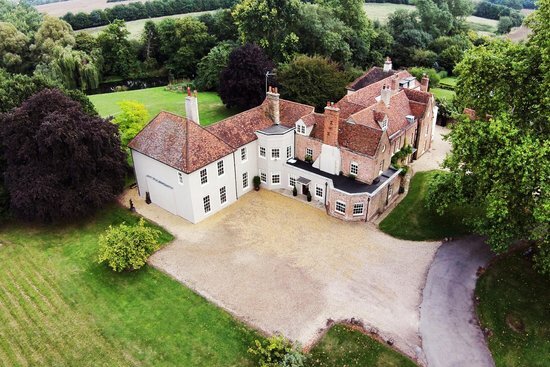 So after the Gaynes Park disappointment we were on the hunt for a venue again. I spent most of my lunch breaks trawling the internet for potential venues. 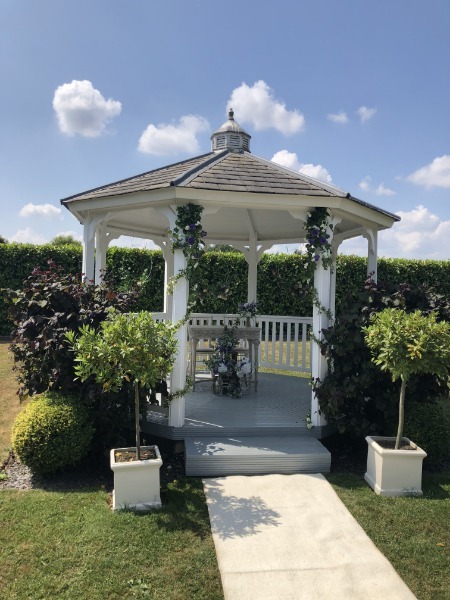 I knew after seeing Gaynes that we both liked the look of a barn reception, however I also knew that we both liked the idea of getting married in a Gazebo outside. 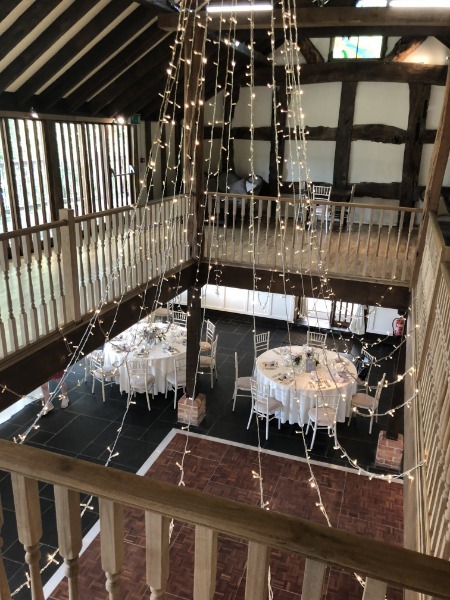 After a few disappointing viewings (Milling Barn and Fanhams Hall), one lunch time I came across a place called 'Old Brook Barn' in Navestock (near Romford), it looked stunning so I requested a brochure and was really happy to see that the prices were within our budget. The venue had the facility for us to get married outside in the Secret Garden, but also had a beautiful barn for the wedding breakfast and evening which suited us perfectly. 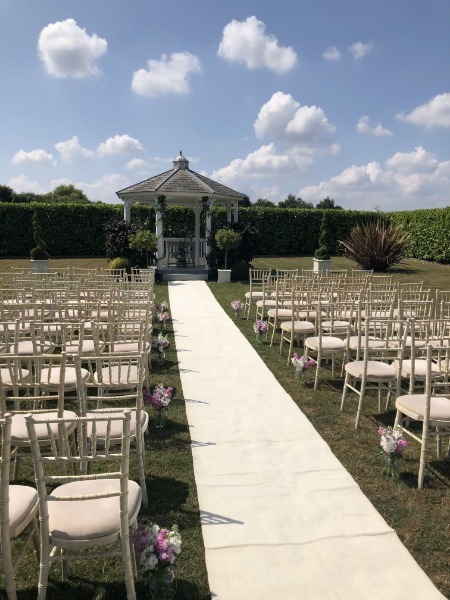 I then spoke to the owner (who was lovely) and booked a slot to see the venue on the 14th of July (2 days after my birthday), it was a boiling hot day. 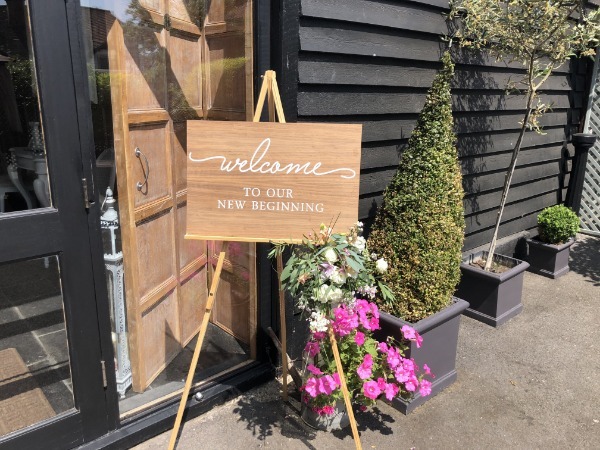 After viewing Old Brook Barn and loving it, we came away and crunched the numbers again and were really happy that it was within our price range. 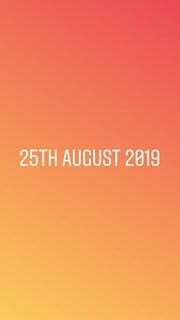 We spoke to the owners and confirmed a date of 20th June 2020 in late July! 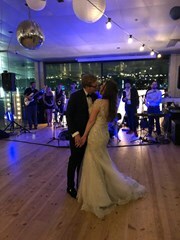 My Best friend who I have discussed a few times in my previous posts got married on the 9th August 2018 and it was just the most perfect day. 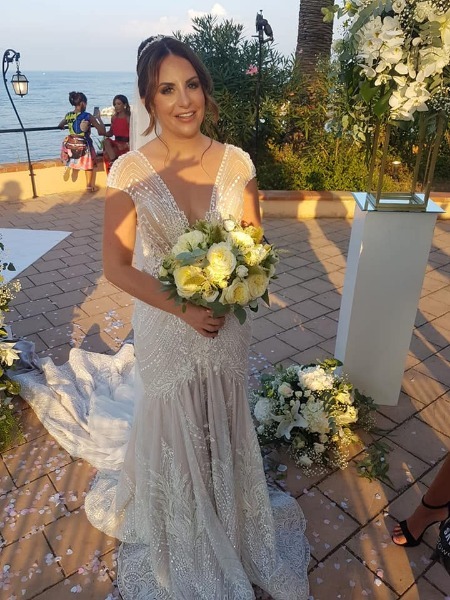 She is half Sicilian so decided to have her wedding out there, we flew out on the 6th August and home on 12th August and had a great time along with 50 others from the UK. I was her bridesmaid on the day, and during 2018 we went to Las Vegas for her Hen Party (which was amazing) and also threw her a UK hen party in London...It was just the best year. I have included a few pictures below of her wedding, including one of me and my partner. 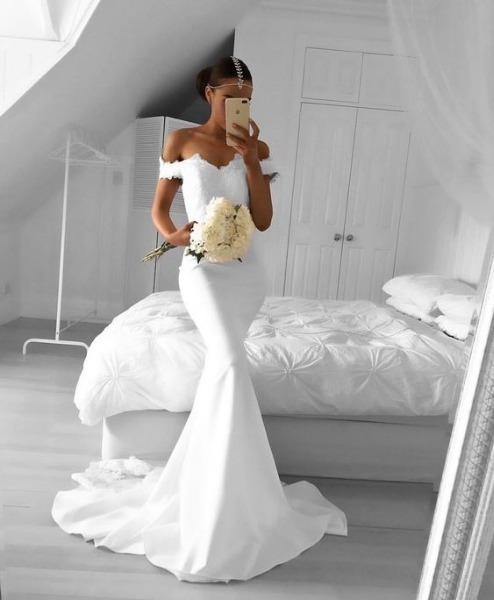 I am sure you will all agree with me that her dress was/is goals! I love your planning thread Britbird! I actually live and work very close to Foxholes Farm where I believe you sourced some of your engagement party food. What a gorgeous venue! I'm a 2020 bride too so excited to see someone on a similar timeline, although im a tad earlier in the year. We looked at Gaynes Park too but had a small heart attack at the cost! We settled on Milling Barn (id be keen for your feedback on the disappointing viewing) as its so close to our elderly family and within budget. Cant wait to see how things all pan out! Hi! Thank you, its so exciting that we are getting married at similar times - will be nice to share the planning stress with someone haha! 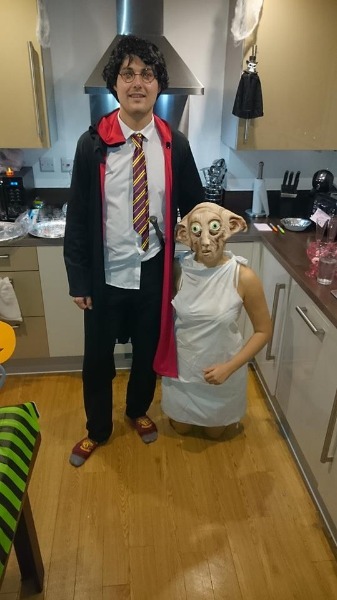 I am a huge HP fan so was so happy that he did this with me, although he had to shave his beard off for the first time in 6 years which was a bit strange! So having an engagement party was high up on our agenda. I love sourcing and making my own decorations so started buying bits and bobs off eBay and Etsy before we had even booked our venue. In the end we booked a local pub (The Galley Hall in Hoddesdon) which had a function room, did good food and had reasonably priced drinks. We had around 100 people come, which we had actually not expected at all! We provided around 10 bottles of Prosecco and 40 bottles of beer for people to help themselves too when they arrived, this was gone within 30 minutes! I think a few early arrivals were helping themselves to more than one arrival drink haha. 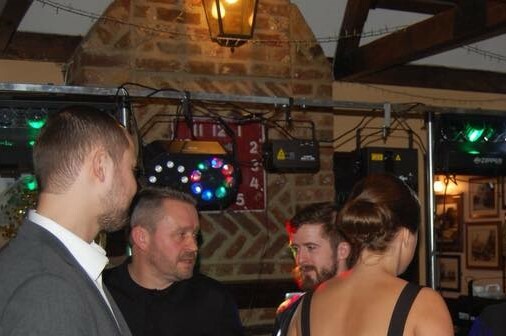 Our brother in law was our DJ (well future sister in laws fiance) and he was fantastic, he used to have a residency in Ibiza and played exactly the right mix of modern, house and old music. This is his Facebook Page if anyone is interested https://www.facebook.com/sounding.good?lst=680374992:100001043540777:1535028173, he is great for weddings and parties! Let me know if you want his email address/number and I will pass this on to you. I made our cakes and did a Krispy Kreme donut tower (inspired by Mrs Mann) and a cupcake tower. 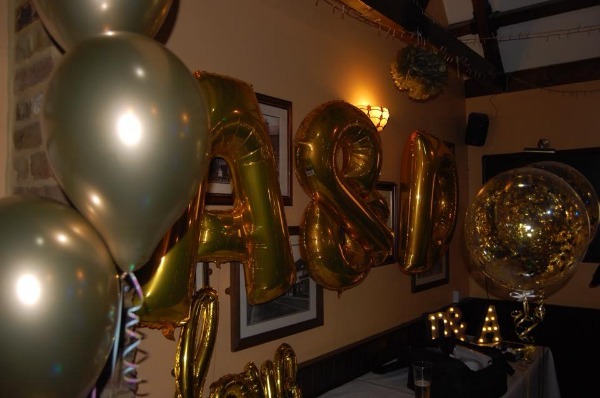 Me and H2B spent about 2 hours decorating the venue, we had a gold colour theme, my engaged (well married now) best friend had also given me loads of little bits from her engagement party to use so the venue looked fantastic in the end. 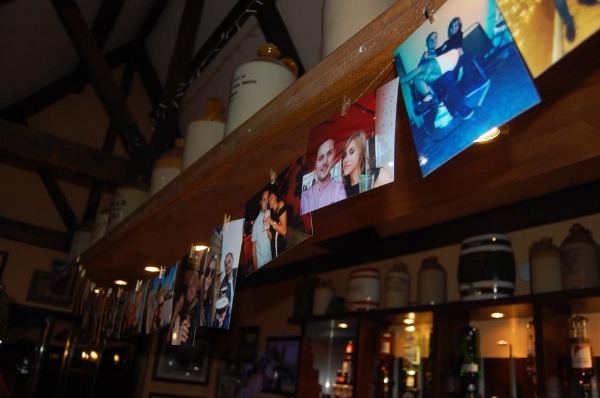 I also made my own photo bunting which went above the bar. 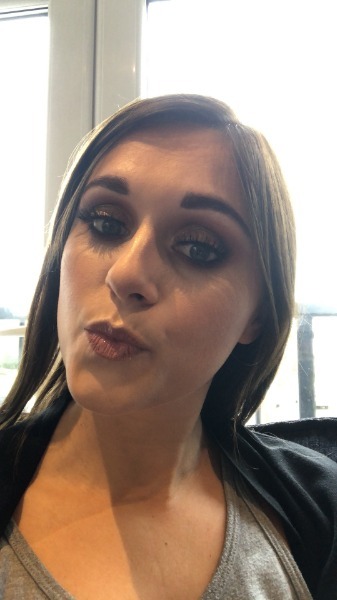 Two of my best friends came round to mine to have their makeup done too, so it was fun getting ready together! It was then time to go, my family all arrived first which was lovely - once the other guests started arriving the party seemed to go by so quickly! I barely saw H2B as he was with the boys, whilst I was with the girls on the dance floor. Everyone told me how good the party was and how fab the DJ was, so I was glad everyone had an amazing evening. 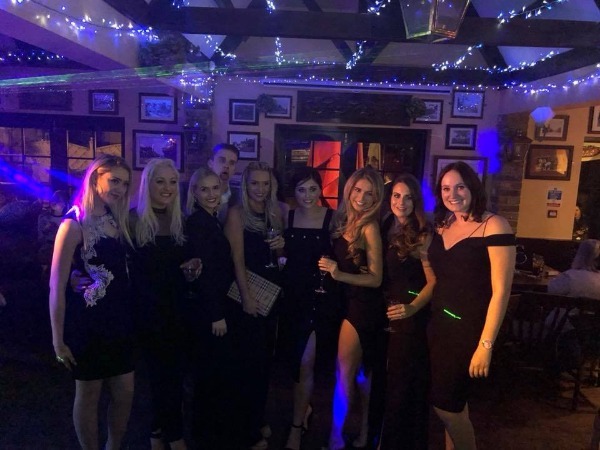 The engagement party did make me realise that I do need to make sure me and H2B have a few time outs during the wedding, just to spend some time together and reflect on the day, as we barely saw each other on the evening of the party. I always knew if I wanted to get married locally in the Hertfordshire or Essex area, in the summer months (June,July or August) on either a Saturday or during the school holidays (as my sister is a teacher) - meaning that I knew my budget would have to be quite a big one as the cost of getting married in Hertfordshire and Essex is just crazy. I didn't set my budget until I had a chance to speak with my parents. My parents split up when I was around 5 years old, and are now both happily remarried and get on with each other/each others partners really well which is great for me. 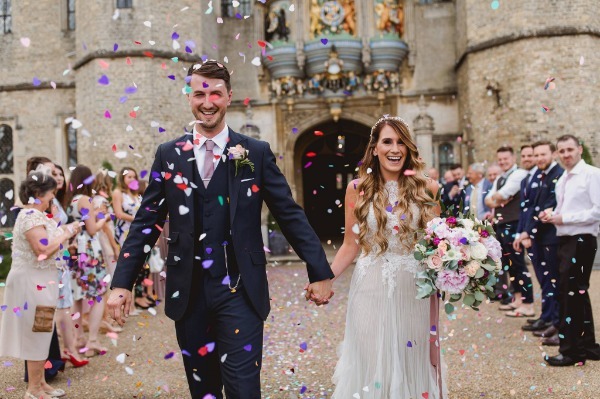 As soon as we were engaged my lovely mum and stepdad told us that they was happy to give us quite a big chunk of our wedding fund, my mum also said that she wants to pay for my dress herself. I then spoke with my dad who also said that he was happy to contribute quite a bit to the wedding. So all in all I have been extremely lucky and have ended up with a budget of around £30,000, not including my dress and the honeymoon. From my initial spreadsheets though its crazy how quickly that amount of money can be spent in the area we are getting married. I am hoping to save some money by doing my own stationary with the assistance of a graphic designer friend and making lots of DIY bits, so hopefully the whole wedding will come below £30,000 - we shall see! 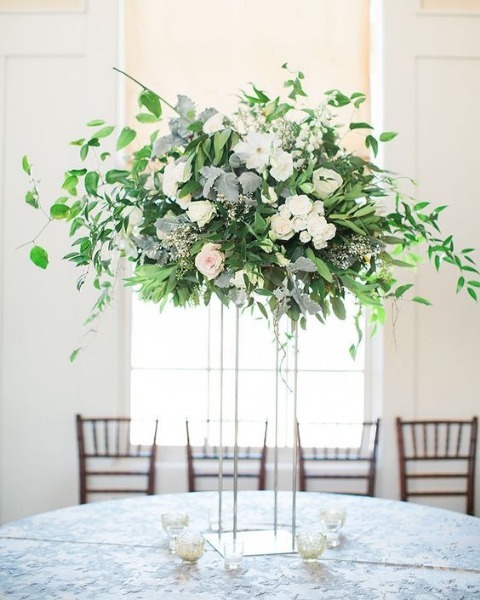 I have always had so many ideas about how I would like my wedding to look, but struggled to decide on a color scheme for a while. 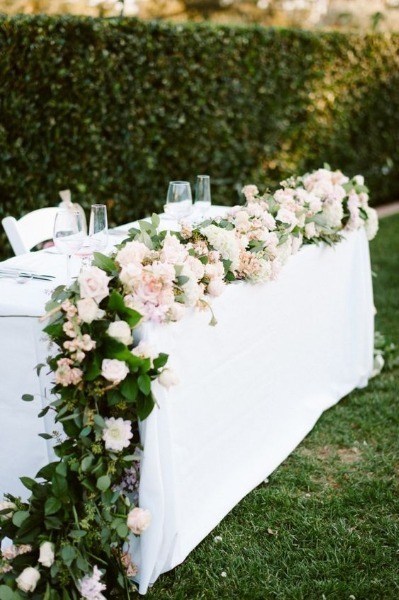 After a lot of hours spent on Pinterest I was deliberating a blush/grey or gold/light pink theme. 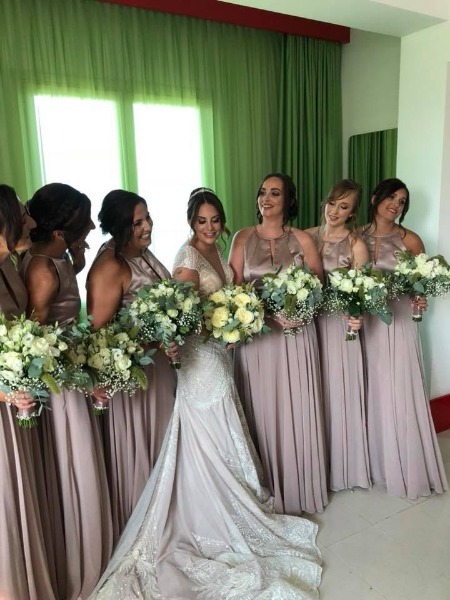 I think my bridesmaids will be in grey/silver, all my stationary will be in similar colors to the bridesmaids dresses and then I will get the ushers and best man a tie to match. 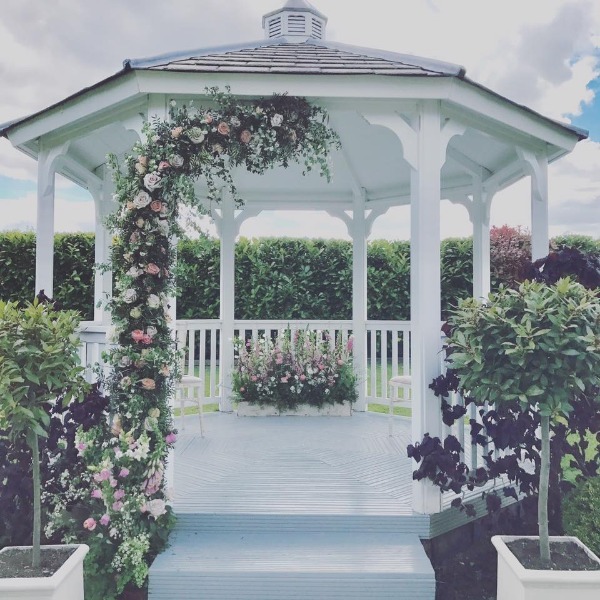 The picture above is actually our venue, so I am hoping to have a very similar half floral arch on our big day! 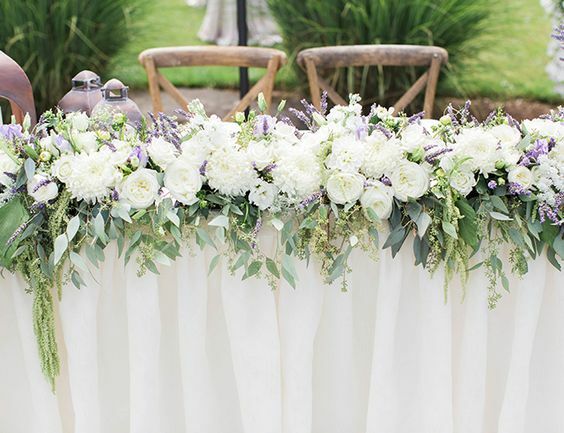 I would like something like above for the end of the aisle. 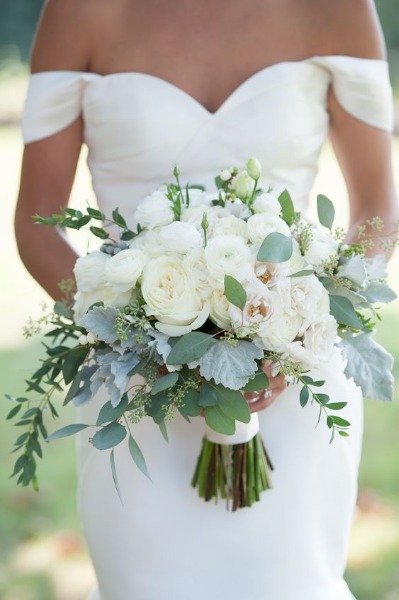 The flowers are really important to me, so I have actually allocated around 10% of my budget to these - hopefully this will more than cover it, I am waiting from a few quotes from suppliers in the Essex area, and would love to know if you guys have any recommendations! Thank you, ahh poor Rob! 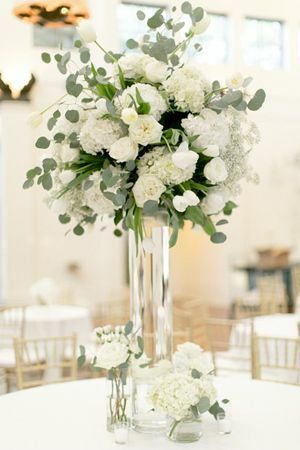 I bet the fake flowers will look just as good though, I am actually thinking about buying some fake flowers myself to decorate the cake table and for some DIY bits I am doing, so my wedding will probably have some fake flowers incorporated too. Ohh i love your inspo!! Its insane how much we seem to have in common! My OH is a teacher so we are having to time it with holidays. We decided to go with the April Easter break, and then hopefully when the summer break comes around we will just go straight on our honeymoon. Britbird - Thank you, I will take a look at her bits too. 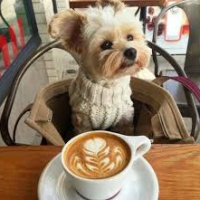 CoffeeDogAddict - Wow that really is crazy, my hen do will have to be in May Half Term due to teacher commitments! Hopefully it was just a one off with the staff, I spoke to someone on the phone before we went, sometimes they get catering staff in too manage the open days. How have they been since you booked? Its a lovely building and all the photos I see on Facebook of weddings held there look incredible, I really like the set up of the bar area as well. I think we will go on our honeymoon straight after our wedding, so the first few weeks of July, still not sure what we want to do, would love to go to Mexico but Zika worries me. 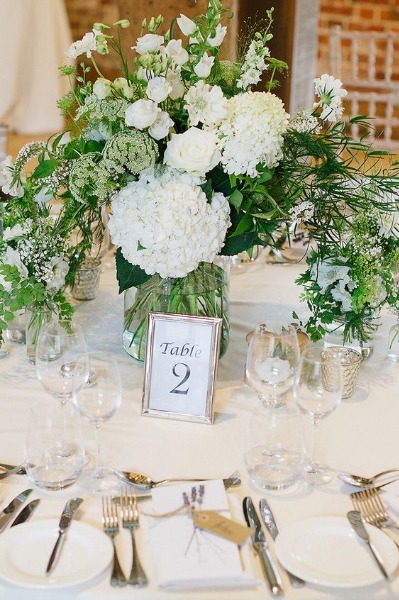 H2B loves photography so we agreed that he would take a look around for photographers in the area, request brochure's and prices and then we would regroup, discuss and decide together. H2B loved the first ones he came across and showed me last week, I loved them too, so we decided to book! 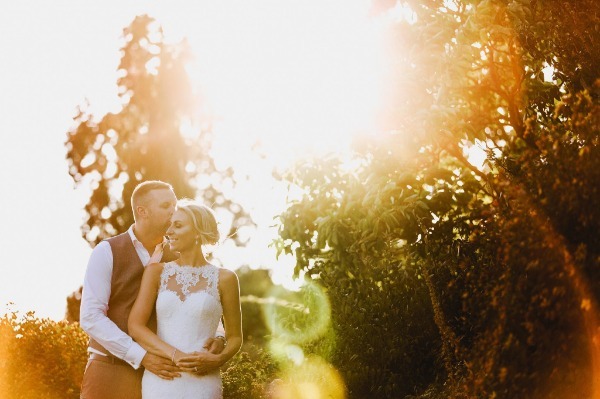 They are a Husband and Wife team called Sam and Louise and specialise in natural wedding photography which is exactly what we wanted. We both have big families so posed photos would take forever and we would ultimately end up offending someone! 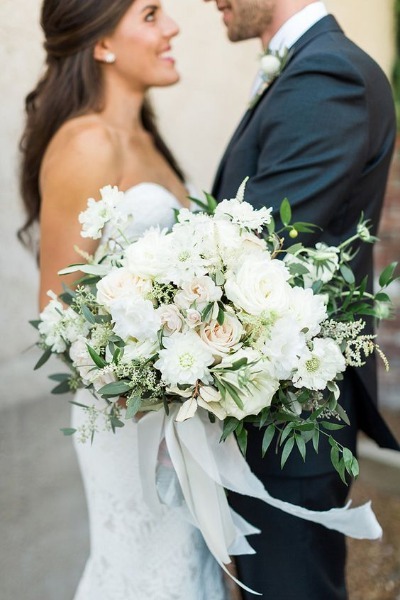 We still want some lovely posed shots of us two, but only want to go off for 15-20 minutes rather than hours as some couples do, I want to spend as much time as possible enjoying my day with my guests and new husband. They have been so helpful from the start of our discussions and I am really excited to be having them shoot our big day. 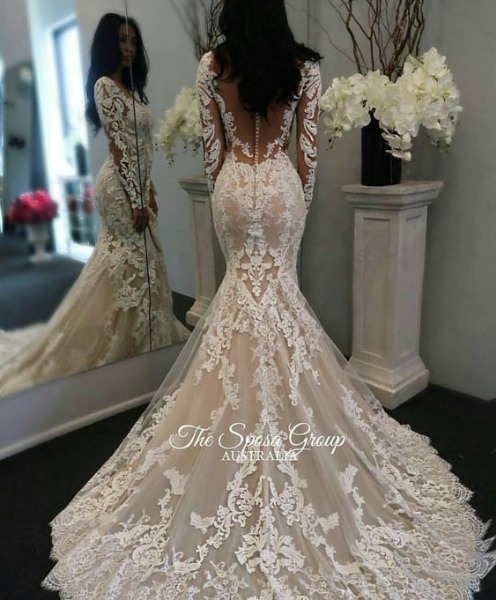 I wasn't planning on going dress shopping until around May/June next year, as I know styles change and I need to lose around a stone to be my ideal weight for my wedding day. But I have no idea what kind of style of dress I would like and, as I am sure I have said before in this thread, I am very indecisive. So my best friend (who is also a BM) suggested that we should have a day out in October to try on a few and get an idea of the shape that suits me best. So on the 6th October, BM best friend, my sister (MOH), my Mum and my Nan are off for a day of dress shopping. 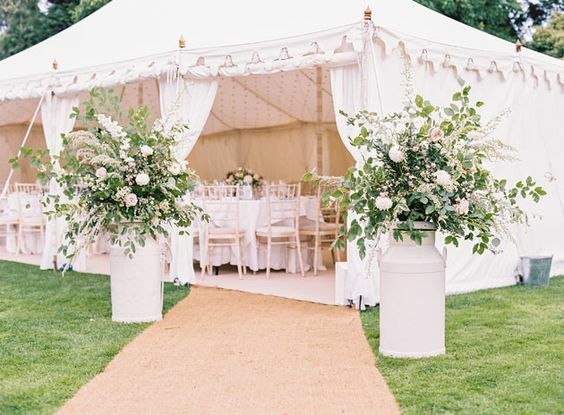 We have decided to go to Wed2B in Chelmsford, followed by Rock the Frock which is also in Chelmsford and finally the White Wedding House in Brentwood. We are going make a day of it and have lunch in Chelmsford too! 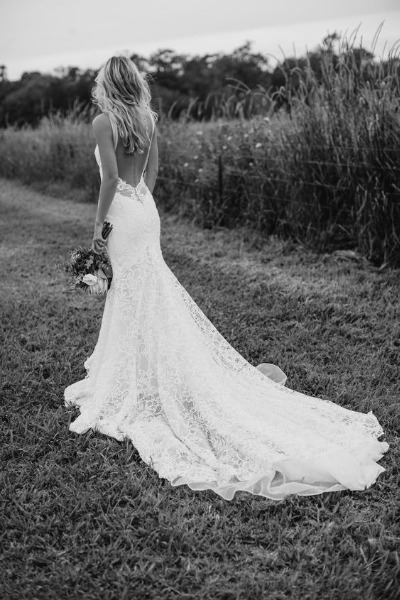 Any Essex/Herts brides reading please do let me know if you really recommend a shop for me to go to, as I am making a list of the ones I would like to visit. So as you can see, lots of different ideas/shapes!